During the latter half of 2014, the Covenanter Theological Institute entered into discussion with a couple of American universities to see if they would be interested in developing a Semester in Scotland programme similar to one run by Geneva College. As a result of that work I had the privilege of travelling in March to Bryan College, in Dayton, Tennessee to sign an agreement with them on behalf of CTI. This agreement will see Bryan College begin offering a Semester in Scotland program to its students either in the fall of 2015 but more probably from the spring of 2016 on. The Bryan College programme will run concurrently with the Geneva College programme but will also have scope for offering courses specific to its students if required. This past year has also seen work done in conjunction with Geneva College on the development of a new Humanities course. This new course, which will include a field trip week to London and Oxford, will hopefully make it possible for more Geneva College students to take the Semester in Scotland programme. As well as the new Humanities course we have also reclassified some of our other courses to also make them more accessible to more Geneva students. We trust that these developments will add to the student experiences for all the students who take the Semester in Scotland programme in the future. Why study theology? Sometimes people look at the Semester in Scotland programme and think that it is for ministry majors. Why would any other student need classes such as Systematic Theology? Surely there are more relevant classes to take for other majors. No. Theology is what grounds us in the faith, which is the most important thing of all. Paul, in writing to the Ephesians, calls on them all to attain to maturity, “so that we may no longer be children, tossed to and fro by the waves and carried about by every wind of doctrine.” Do you want to be grounded in the faith, or are you happy being tossed to and fro? There is one true and orthodox doctrine, and that doctrine is in the Scriptures. But it is not enough simply to know the words of Scripture. We must understand the doctrine that those words teach. Heroes and heretics will use the same words, but they will mean different things; both will quote Scripture, but who uses it correctly? Will you be grounded or will you be tossed? We must search the Scriptures like the Bereans to understand its doctrine. Since our faith affects every area of our lives, it changes the way we look at Science and Maths, or History and Music. Our worldview alters our actions, whether we are a teacher or a vet, an artist or plumber. If our faith is grounded by good theology it will lead us in right paths in any profession. If our theology is not sound, our faith will be ungrounded and we will experience the turbulence that ensues. Do all Christian students need theology? Absolutely! We all engage in it every time we open our Bibles to study its meaning. When we are asked questions about God or sin or faith or church or right and wrong, we systematise our thoughts into concrete statements of doctrine. When we consider the place of God in our major or profession we have to engage in theology since the Bible may not directly address that job. But do we want our doctrine to be Biblical? 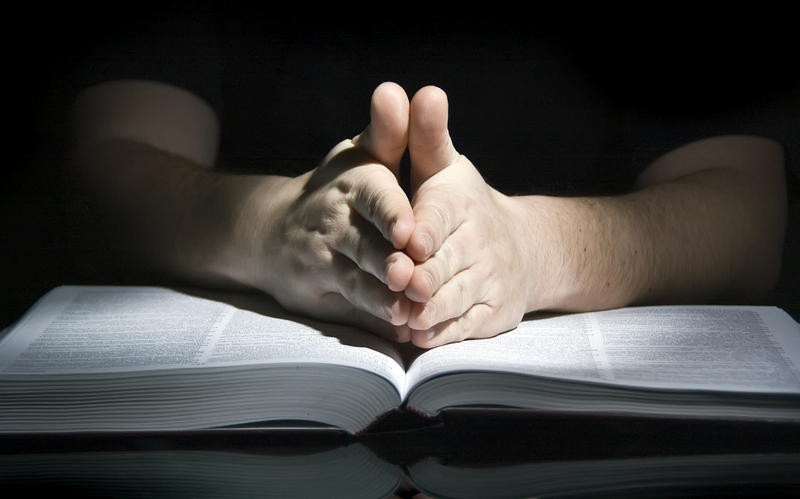 Are we prepared to go back and challenge our views in the light of the Scriptures? Why not do this while you are still a student? A week ago we finally got to go outside the classroom and visit the places we had read and spoken about during our Reformation and Covenanter history lessons. 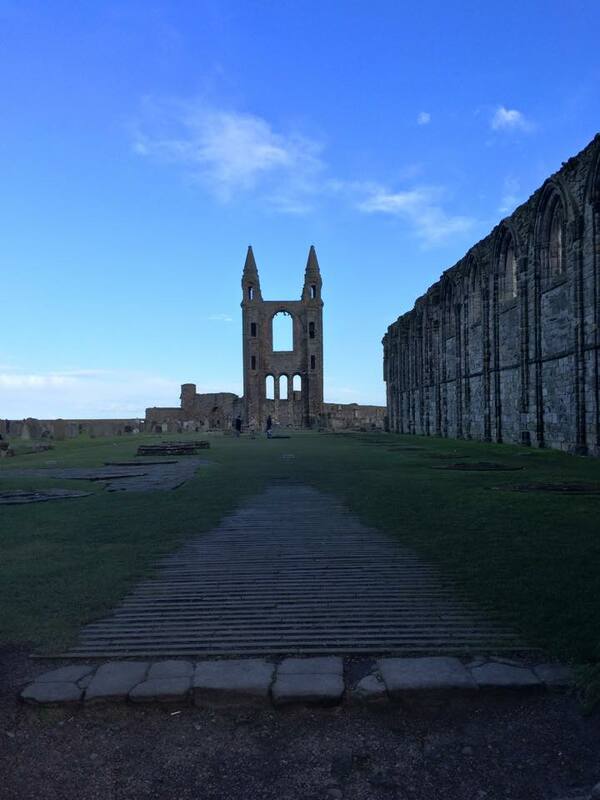 On Monday we headed to the east coast and visited the beautiful seaside town of St Andrews, the location of many significant events during the Reformation. We also stopped off to see Richard Cameron’s house, visited Falkland palace, Leuchars Kirk, and walked out to the martyr graves at Magus Muir. On Tuesday we went through to Scotland’s capital city, Edinburgh. 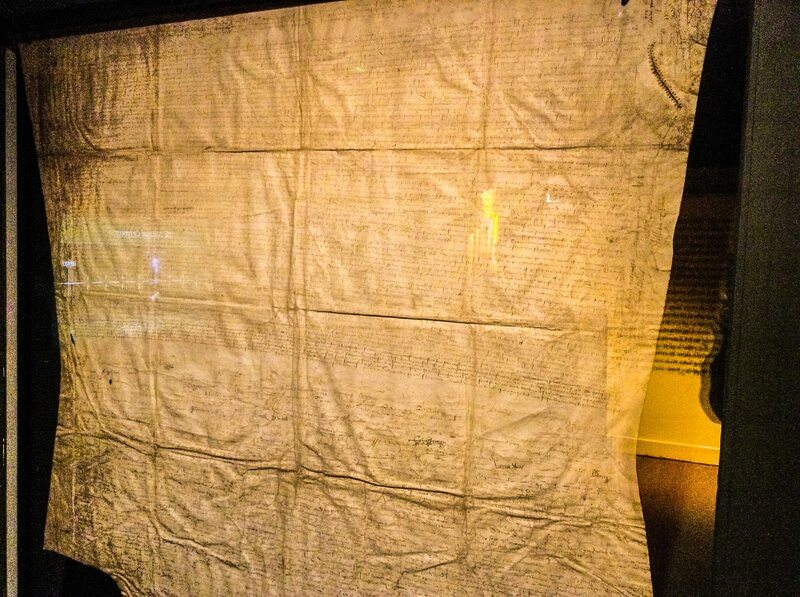 There we did a walking tour of the old part of the city visiting various places including St Giles cathedral, the Grassmarket, Greyfriars Kirkyard, and we even walked down to the bottom of the Royal Mile to see the original National Covenant which was signed in Greyfriars on 28th Feb 1638. Thursday took us down into South Lanarkshire and the Borders region. 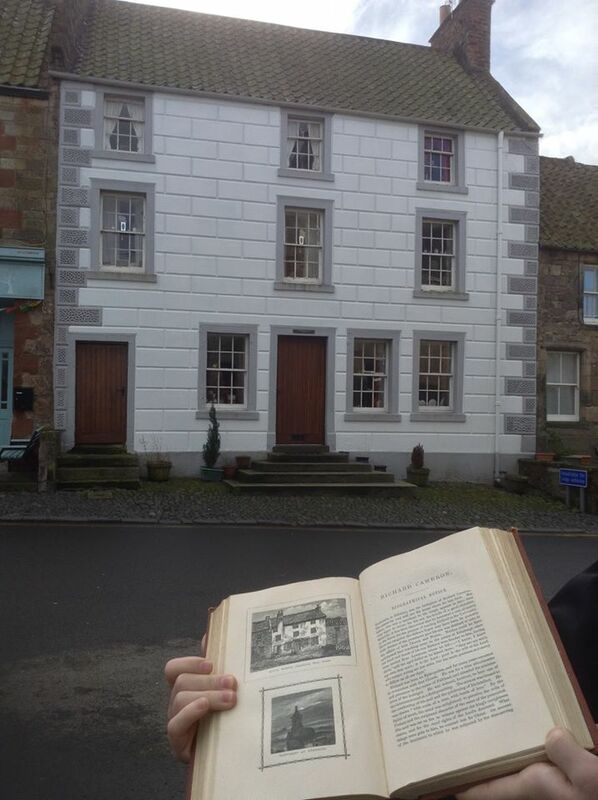 We visited the towns of Lanark, Douglas, Dalserf, all very significant towns during the Covenanter times. 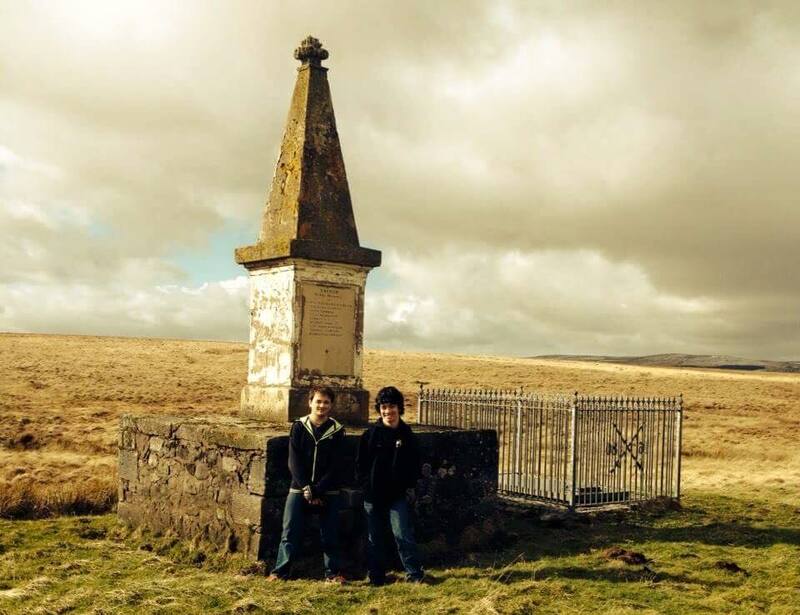 We also headed out to the Devil’s Beef Tub, the location of a dramatic chase between some of the King’s dragoons and a Covenanter John Hunter. Sadly he was killed during the chase. 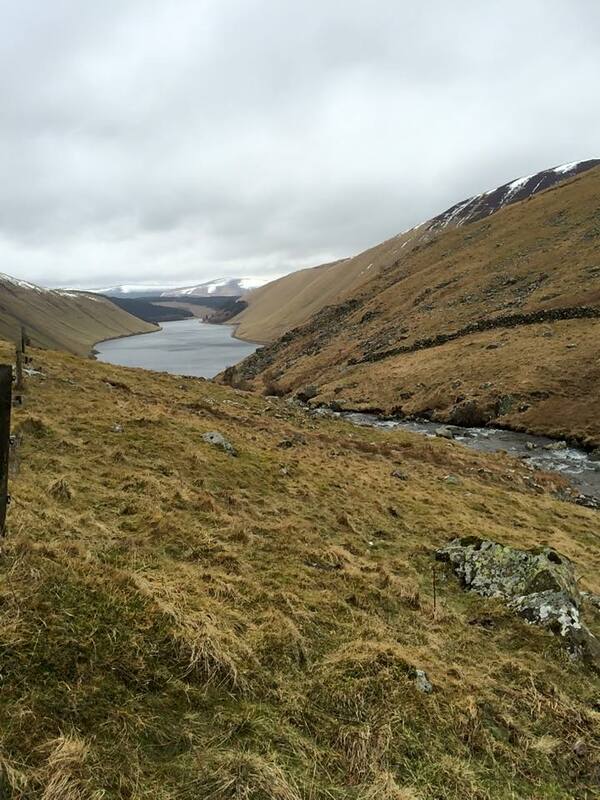 We also went to the sleepy hamlet of Tweedsmuir to visit his grave, then went on to Talla Linn a beautiful spot where many thousands of people met in the open air to worship God. Also on this day we found another place where Covenanters met for worship, it was a new location and very exciting to find. 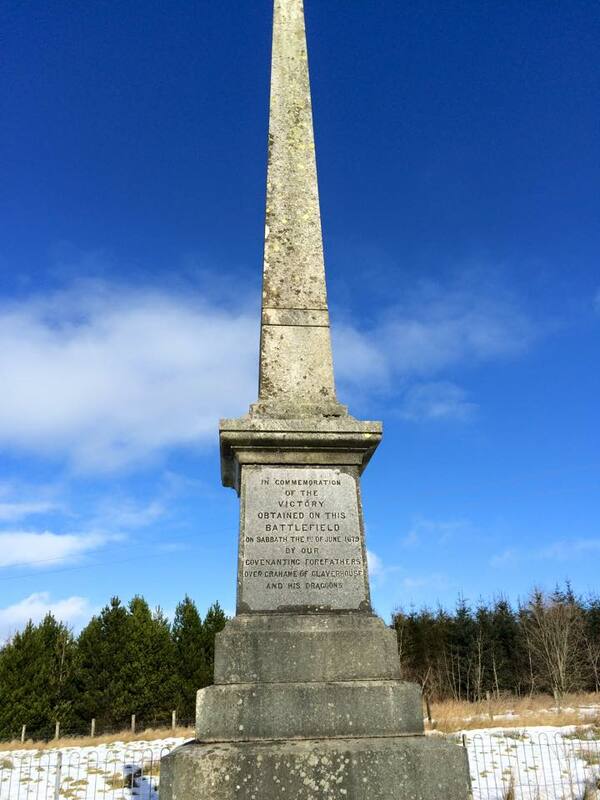 On Friday we headed off into the magnificent Scottish Highlands to see some Covenanter locations there and also to hear about what happened after the persecution had ended for the Covenanters and how the Jacobites who supported the Stuart King tried to regain the throne for the Roman Catholic James VII. As well as the stunning Highland scenery we visited Inverlochy Castle where many hundreds of Covenanters were killed by the Duke of Montrose’s men during a battle there in 1645 and Glenfinnan where the Jacobites began their second attempt at regaining the throne in 1745. We spent the night in the beautiful Highland town of Fort William before heading back down on Saturday stopping off to see Dunstaffnage castle, St Conan’s Kirk, and Inveraray Castle, the home of Archibald Campbell, the duke of Argyle, one time leader of the Covenanters and who was executed in Edinburgh at the restoration of Charles II in 1661. We had a really good week travelling around the various parts of Scotland. The Lord blessed us with safety and decent weather (it only rained when we were in the Highlands). I’m sure the students thoroughly enjoyed it, and that they now have a far better understanding of how God worked in this nation in the past. 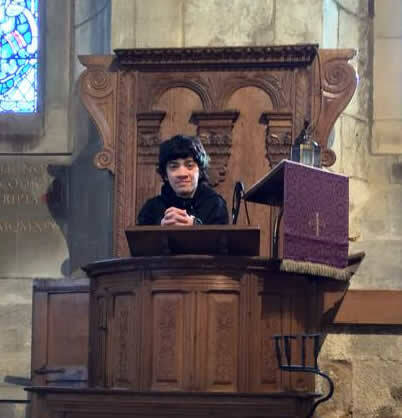 This week the students took a week long Reformation Tour. 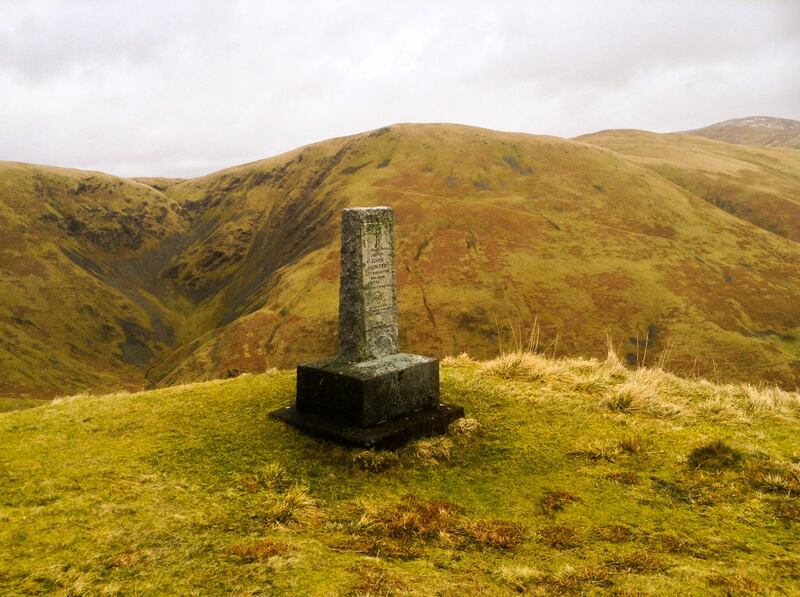 Here Joseph writes about his thoughts on seeing Airds Moss. Blood, running freely through marshy fields, flowing freshly from martyr veins, was a grotesque scene that over three centuries before, marked Airds Moss as a field of slaughter. Cameron, a man singularly gifted and piously zealous was, with brother and fellow Covenanters, cut down on the ground upon which I stood. Airds Moss. The name, for years, resonated with me and I always esteemed it as a place of utmost importance, but as I stood where one of my chief heroes fell for owning Christ and His covenanted cause, it was not just an act of sight-seeing – it was deeply emotive and spiritual. On the field, my mind traced the route that Cameron’s band had made, until met with their horde of murderers. The recorded prayer of Cameron, “Lord spare the green, take the ripe” coursed through my mind, mixed with what I imagined the din of battle to have sounded like. Horses thundering, swords unsheathed, flint ignited, screams, prayers…. And then the stillness of the aftermath. As still and gentle as it was when I stood there. The deed had been done. The lives of men “of whom the world was not worthy” thrust into the bosom of their Princely-Redeemer. And Scotland, in the stillness, without great grieving, was, on that field, bereaved of one of her greatest witnesses. The quietness begged reflection on all of these things. The breezes, coldness, light – all of it coaxed me to think upon the banner of Reformation that lost one of its greatest bearers on this field. Oh that cause! Christ’s cause! On this field Christ suffered in his servants. That cause must be raised again, not for Cameron’s sake, but for the sake of Him who Cameron loved above his own life – it must be raised for the glory of Christ. It is not the Cameronian cause, as though he had concocted the whole doctrine, it is the cause of Christ. And yet so few true witnesses – even among those who claim to be Covenanters. On this field my singular prayer was that the Lord would raise more of Richard Cameron’s heart. Oh that it may be so. Let King Jesus Reign and All His Enemies be Scattered. 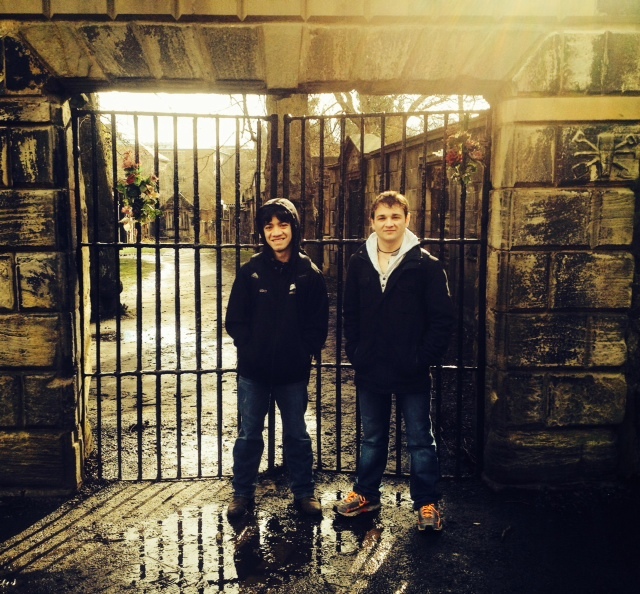 At the Covenanter prison in Greyfriars kirkyard, Edinburgh. 28 And do not fear those who kill the body but cannot kill the soul. Rather fear him who can destroy both soul and body in hell. This verse has a very straight forward message to the reader. Let’s break down this verse into two parts. The first part being “And fear not them which kill the body, but are not able to kill the soul….” This first part is Jesus telling us not to fear man because man is only able to kill the body. The worst that man can do to us is simply kill our bodies. This leads us to the second part of the verse; “but rather fear him which is able to destroy both the soul and body in hell.” God is sovereign. God is the Almighty Creator of everything around us. God created us, and He has the power to kill us, too. Not only does God have the power to kill our bodies, but He also has the power to kill our souls. So why am I writing about Matthew 10:28? During my class I came across a quote from Charles H. Spurgeon which filled my heart with sorrow and conviction which also leads to the second part of this blog post. Even as I read that a second time, I can feel my heart being ripped in half and filled with sorrow. I live in a fallen world full of unconverted souls. Souls that will die in Hell. My own heart breaks for these souls, but my heart breaks even more knowing that I’ve done little to try and reach these souls to share the Gospel with them. Why haven’t I done anything to reach them? It’s because I’m afraid of human judgment. When I read Matthew 10:28, I realized that the fear of man is a pointless fear that leads only to further sin. We should only fear God. God commands us to go out into our neighborhoods, our cities, our world and spread the Gospel. God wants every knee to bow to Him. What’s stopping you from sharing the Gospel with your neighbors, your family, or friends? Is it the fear of judgement? The fear of not having the proper knowledge? The fear of persecution? Is it the fear of death? None of those things matter. It does not matter what the world thinks of you. There are millions of the lost souls in our fallen world, and the only way that they will hear the Gospel is if we go out and spread the Gospel. The number of lost souls in this world should break our hearts and make us all realize how urgent the command to share the Gospel is. The only thing that matters is reaching the lost souls and sharing the Gospel. The chief end of man is to glorify God. We glorify God further when we follow His commands so what’s stopping us? I challenge you to go out and try to win souls. I challenge you to share the Gospel message with a non believer. I challenge you to face your fears. I challenge you to not be content until you see results. I challenge you to pray for the salvation of the lost souls. Don’t fear man. The worst that man can do to us is kill us for the Gospel of Christ. Fear the One who can kill both soul and body in Hell.